The New Frontier in Science & Community Life at North Park University Johnson Center - W.B. Olson, Inc. 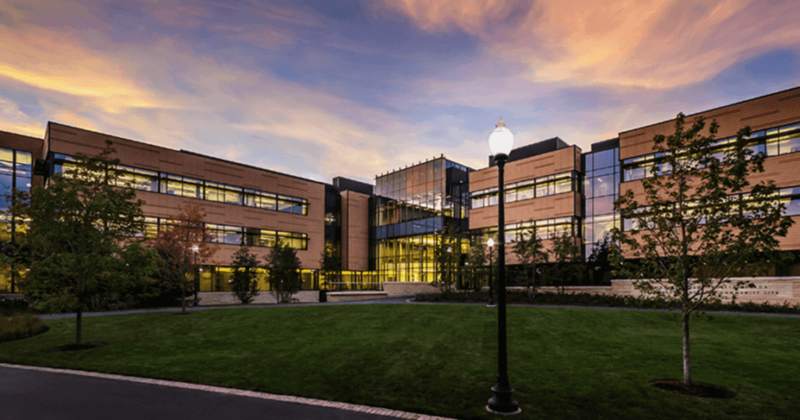 The 101,000 square foot Science and Community Life Building on the North Park University Campus is the first construction project in the Chicagoland area to utilize the Integrated Project Delivery (IPD) construction method. Project Target Cost Estimates, Risk Pool’s, Core Team Management and a Tri-Party agreement delivered to North Park University a central hub for use by its students and faculty for years to come. Many lean construction techniques were also used including pull scheduling, BIM modeling and key trade design assist to name a few. The Johnson Center is creatively designed to incorporate an inviting space, smart classroom technology and cutting edge science labs. The building construction was designed to include sustainable building technology and is in the process of LEED Gold Certification with the USGBC.